We have a player to give first hand advice! 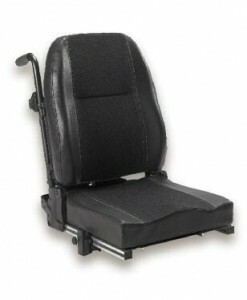 Focus on your position with Invacare’s highly adaptable Modulite seating system, featuringMatrx positioning backs and cushions. 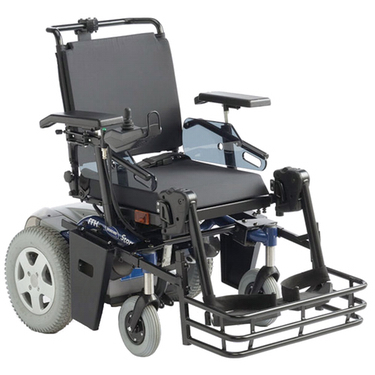 Out manoeuvre the competition with the compact and stable wheel base of the TDX2 Sprint featuring stability lock and SureStep technology. Powerchair Football is a fast paced team sport for people of all ages who use a power wheelchair. It is a dynamic activity which encourages teamwork and sport skills which enhance the lives of people with physical disabilities. 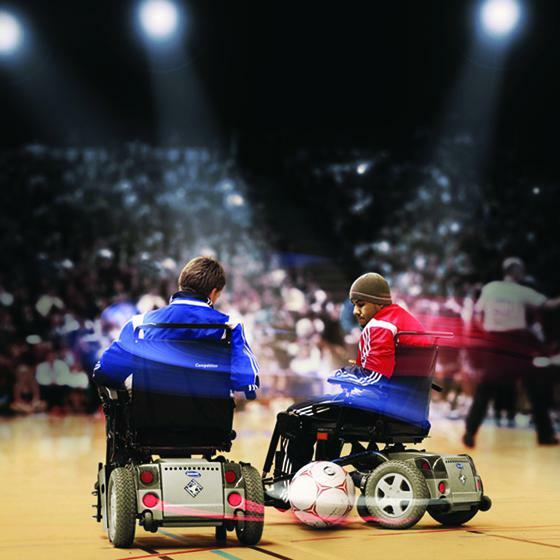 Powerchair football is played on a regulation basketball court with a 13″ ball. Four team members (one of whom is the designated goalkeeper) attempt to pass and kick the ball across the goal line while keeping the other team from doing the same. 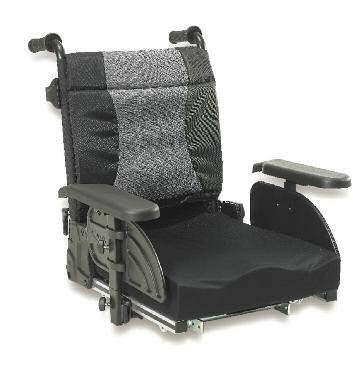 The ball is kicked or passed by a footguard which is attached to the chair. The wheelchairs are regulated to have a top speed of 10 kph (6.2 mph) and may be used forward, backward, or in a spinning motion to kick the ball. 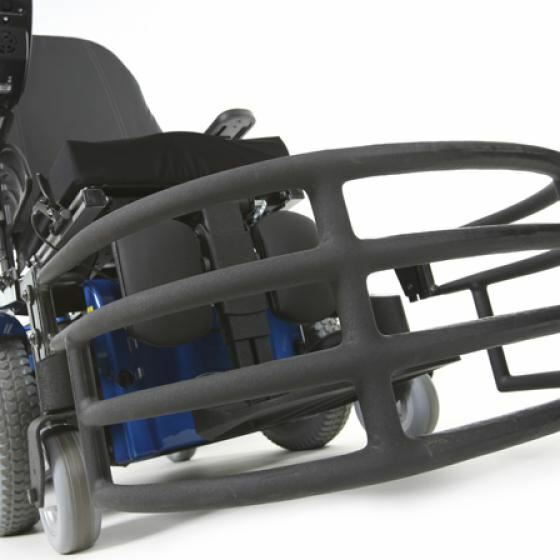 The Invacare Storm Competition is a wheelchair specifically designed to meet the tough requirements of power football. With its unique football programme, the Storm Competition provides unbeatable acceleration and power to win the game. Its detachable foot-guard is easy to mount and is designed to be the perfect shape to enhance ball control. Front-wheel traction, powerful motors and custom built electronics all contribute to giving playersd real control of the game.. but why not experience the Storm Competition for yourself and give it a try. Due to greater acceleration and speed, the Storm Competition is subject to high levels of strain during games. 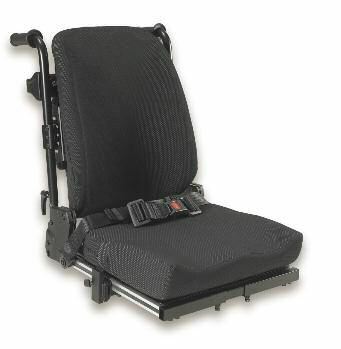 Owners should ensure that they use their power wheelchair responsibly.